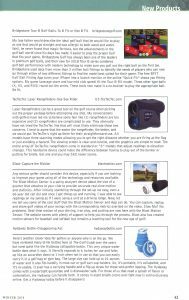 TecTecTec golf laser rangefinder featured on The Golf Guide Magazine. TecTecTec golf laser rangefinder collection in the 20th Anniversary Winter issue of The Golf Guide Magazine. The article is available to view online HERE, page 43.